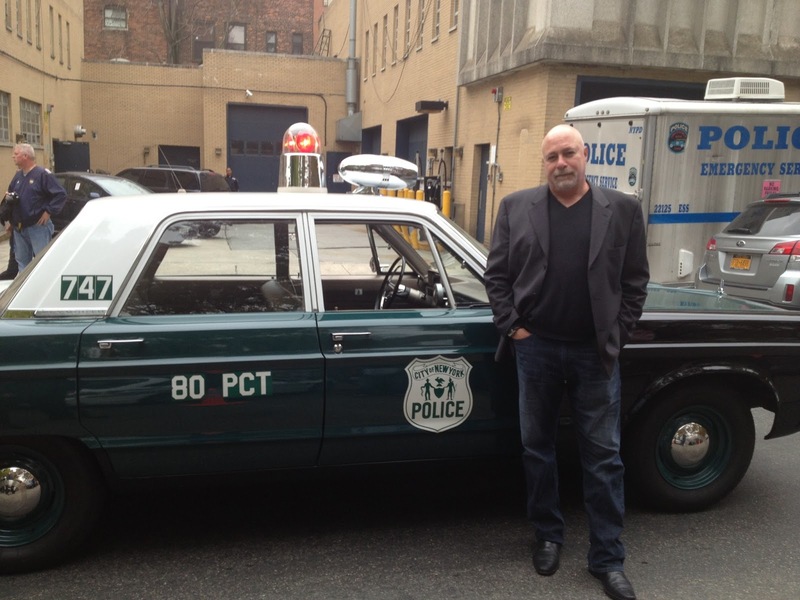 Frank Boff, the ex-DEA legend turned private investigator that the bad guys turn to when they're facing prosecution, is back in action! When Boff's friend, boxer Danny Cullen, is almost gunned down in a drive-by shooting in Brooklyn, the investigator travels from Las Vegas to New York, determined to find out who was gunning for him. Cullen isn't sure he wants Boff's help, though, because Boff can be an irritating SOB, to put it mildly. While investigating the shooting, Boff and Cullen meet rappers, nasty cops and all kinds of riff raff. The most interesting character they meet, though, is Boff's mother, who makes a living as a shopkeeper... and running numbers, protected both by a shotgun she keeps under the table and the biggest mobster in the Bronx. In his funny and breezy writing style, that reminds me of John Sanford, Gottlieb follows Boff & Cullen along the mean Brooklyn streets and the hip night clubs of NYC to reach a startling and exciting conclusion. There might be writers who give you more plot twists, there might be writers who give you more fast-paced action...But I dare you to find a writer that gives you a detective as funny and original as Frank Boff. Boff is really a guy you will love to hate and hate to love. Q: What makes Jake Diamond different from other hardboiled characters? I have always described Diamond as a private eye more over easy than hardboiled, albeit living in a hardboiled world. He usually counts on others to do the muscle work. However, in Counting to Infinity, the third book in the series, Jake is moved by events to do some damage and he needs to be reined in by his friends and colleagues. Another less than common Diamond characteristic is that Jake is an avid reader, always with a classic literature paperback handy. And the book he is reading is somehow tied into the plot of the particular Diamond novel; A Tale of Two Cities in Catching Water in a Net, The Count of Monte Cristo in Clutching at Straws, and The Brothers Karamazov in Counting to Infinity. The character came about very organically. I wanted to try writing first person, and a private eye seemed like the perfect vehicle. I have always been drawn to the smart narratives of Raymond Chandler. Diamond’s personality grew out of my interest in including a good amount of humor in the narrative. Jake’s background, the son of an Italian-Catholic/Russian-Jewish couple in Brooklyn, New York was based on personal background; as is his background as a less than idolized film actor. Q: What's next for you and Diamond? I have two new books ready for editing. 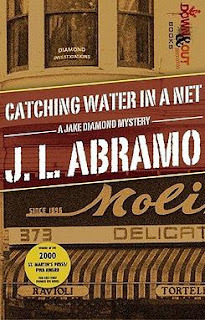 One is a prequel to Catching Water in a Net which features Jimmy Pigeon, the PI who brought Jake into the business. The second is a new Diamond installment that picks up where Counting to Infinity left off; and finds Jake reading The Hunchback of Notre Dame. We are shooting to have one or the other ready for ThrillerFest in July and Bouchercon in September, in both print and eBook format. My website, www.jlabramo.com; social networking like Twitter, LinkedIn, Facebook and BookPulse, http://www.facebook.com/jlabramo#!/jlabramo/app_278592948831507; guest blogging and interviews, promotional post cards, book signings and readings, annoying emails, and any other way possible. Science fiction, fantasy, and the occasional western. I like the edge that Hawk and Pike contribute to the works of Robert B. Parker and Robert Crais. Mouse Alexander in Walter Mosely’s Devil in a Blue Dress is, in my humble opinion, one of the most entertaining crime fiction characters of all time. I believe that Conan Doyle, Chandler and Hammett will always have a profound influence on PI writers. 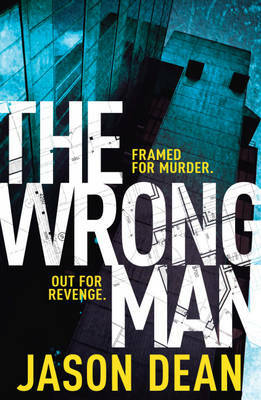 There is a lot of very good crime fiction coming out of Scandinavia, both PI and otherwise. Writers like the late Stieg Larsson, Jo Nesbo, and Henning Mankell, who were certainly victim to American and British influences, have innovated the genre and will perhaps turn the tables and inspire new direction to their contemporaries in the United States and Great Britain. 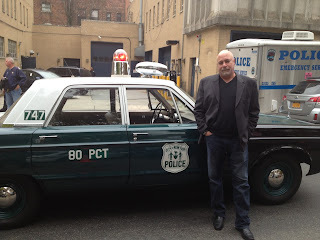 I discuss the subject more extensively in my blog Why Crime at http://jlabramo.blogspot.com/2012/12/why-crime.html . The short answer is that I have always been particularly fond of the genre, and I came to discover that it served my purposes as a writer most effectively. It's really cool that Amazon.com gives us the chance to read short stories like these. Originally from 1977 I think this might be the first Matt Scudder short story published when it first came out. 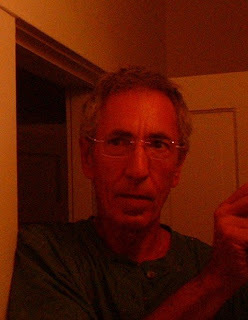 In 1977 Scudder was still an unlicensed investigator, drinking his coffee mixed with booze and a real loner. He's hired to find out if Paula Wittlauer really jumped from her window, committing suicide or if it was murder. We are treated to a compact little mystery that hits all the right notes. It's not a masterpiece or very original but it is very entertaining. It made me all nostalgic for this incarnation of Matt Scudder and ready for the movie adaption of A Walk Among the Tombstones. What a joy to have Leo Waterman back again! As this story starts he's not working as a PI anymore, finally living from his trustfund. When his old love, Rebecca, vanishes he's back in the game however, trying to track her down. During this investigation he gets involved with a boat repo man and some very nasty bad guys, among which a very dangerous MMA fighter. Luckily, the bunch of homeless people that served as his sidekicks are back again as well, standing by the reluctant hero in an ending that is a bit more gung-ho than Leo is used to. I loved this book. In fact, I loved it enough to accept Frank Corso (GM Ford's newshawk hero) won't be back again. Leo is just as funny as twelve years ago and along the way the investigation is pretty interesting and credible. The villains were dangerous enough to make me really worry about Leo. Laughs, action, mystery and heartbreaks. This one has it all. Tell us what to expect from your two new books, DIRTY WORK and ONION STREET. DIRTY WORK is a very interesting project. It’s the first of two novellas featuring a little person (dwarf) PI named Gulliver Dowd. Gulliver is a bitter man whose cop sister has been murdered. 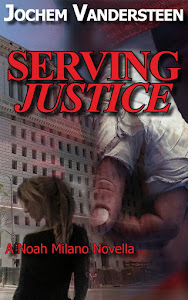 Her murder has never been solved and Gulliver becomes a PI in order to find her killer. This hunt for his sister’s killer is the subtext to the story. The main case features a woman from Gulliver’s past who reveals a secret that can turn Gulliver’s world upside down. 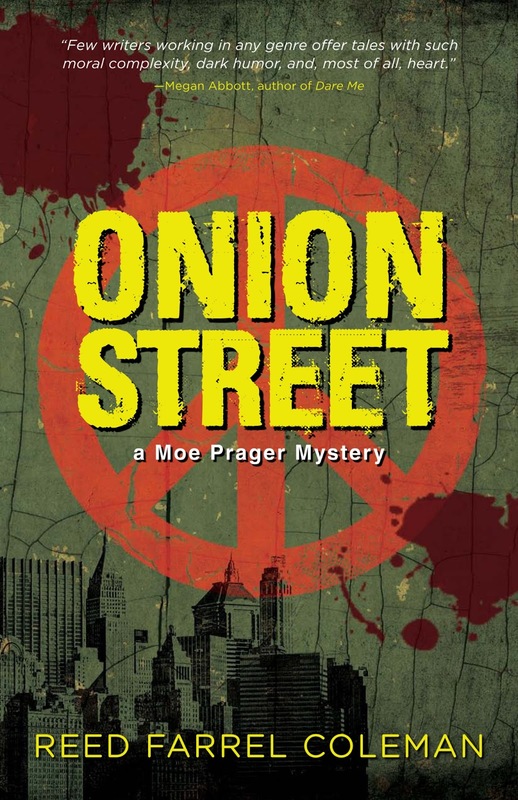 ONION STREET is the next to last Moe Prager Mystery and is a prequel set in 1967. It tells the story of how Moe became a policeman in the first place. It begins with his girlfriend being viciously beaten and left to die in the snow on a Brooklyn Street. Moe needs to find out why and who did it. And Moe learns for the first time that very little in life is as it seems. 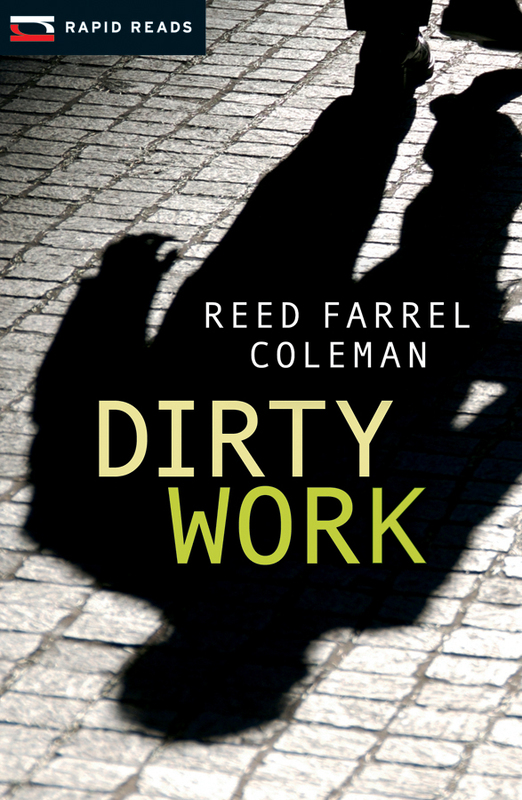 As DIRTY WORK is a novella, it took me about four or five weeks. ONION STREET took me about four months to write. But in all fairness, when you get to the eighth book in a series, even if it is a prequel, the canvas is already partially painted. DIRTY WORK was sort of a creation between my agent, Bob Tyrrell at Raven Books—Rapid Reads, and myself. They’re a Canadian publisher whose market is the emerging or late to literacy reader. Those readers like hard-boiled and noir to. So they approached my agent who approached me about doing some books for them and I agreed. They loved Gulliver as a character and so do I. I think readers will love him too. ONION STREET filled in a big gap in Moe Prager’s history that the fans have been curious about. It essentially tells the story of how the Moe readers know became Moe. I think readers, myself included, love to see the roots of how a character they identify with developed into that character. I have dropped hints throughout the course of the series, but I thought the time for hinting was over and to explore the origins of Moe more deeply. Will we see Gulliver Dowd return after DIRTY WORK? For at least one more adventure. I’ve written a second Gulliver Dowd entitled VALENTINO PIER. I hope readers respond as I hope they will to Gulliver because I really do enjoy writing him. 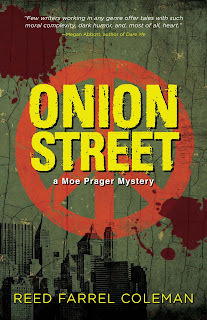 ONION STREET is the penultimate Prager novel. Will you be coming out with a new PI series to follow that up or would that be Gulliver? Gulliver is a fun character, but I’m not sure I consider him a successor to Moe. I think I’d like to do some other type of writing for a while. I am halfway through with a Sci Fi YA novel and have an idea to write a more standard literary novel. But I love the PI form and I will probably always have a toe in the private detective genre. Did writing the books take a lot of research? In all honesty, I have always hated research. Google has made life much easier for someone like me. I try not to weight myself down with research. For me the thrill of fiction writing is making stuff up. Let me answer that in reverse. The scenes I hate most, the ones I know most of my friends hate most, are bridge or transition scenes. Getting the reader from here to there can be awfully burdensome. I love writing scenes where the physical setting is a reflection or a foreshadowing of the action that will take place later in the novel. For instance, read any of my scenes that take place in Coney Island and you will know I loved writing those. I also can do dialogue in my sleep. Who is your favorite among the characters in the books? If I had to choose one character, I would choose Israel Roth. He’s the moral compass by which Moe steers his life. But Mr. Roth is terribly flawed and scarred. I just love him. Is there anything else you'd like to say about the books? Buy them! I’ve got a son in college and a daughter in graduate school. 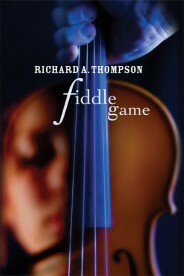 This is an interesting novel because the infusion of the "myths" about violins give it a more literary element. That's not to say this isn't the kind of novel you love when you're a regular visitor of this blog. Herman Jackson, bailbondsman is the kind of tough guy you like to read about. It's all in our favorite first person point of view and there's mystery and action aplenty. Herman Jackson, ex-bookie and now bail bondsman is left a priceless violin as security for her brother's bail bond. When she is killed Jackson becomes a suspect. On the run from (non-)crooked cops he meets a lovely, sassy lady who helps him investigate the murder and the secrets of the violin. Interesting backstory, fine writing. Enjoyable. I decided to set the deadline a few months later so more people can contribute to the Shamus Sampler. Stories (5000 words max) featuring unlicensed and / or licensed private investigators. Sent me the story and a one line summary of it, as well as a short bio. I will look at reprints but original stories are preferred. You can email it to me as a word document at jvdsteen@hotmail.com. Nothing, but your work is showcased in this sampler designed to bring more attention to PI writers. You will keep all rights, digital and print. It will be a 99 cent priced anthology on Kindle. I will be making it free a lot of times to make sure a lot of people read it. Let me know if you want to contribute. Since I am a fan of your work you're pretty sure to have your story published. It's great the Jake Diamond mysteries are made available by Down & Out Press, giving all PI fans a chance to enjoy the tales of this San Francisco eye. Jake likes classic novels, Mylanta, Dickels and his secretary Darlene. He's not the most hardboiled of detectives, being a former actor not an ex-cop or soldier. Luckily, he's got some friends in the underworld to protect him and provide the occasional muscle. In this debut Jake tries to find out who murdered his mentor, Jimmy Pigeon and encounters his ex-wife and the woman he slept with right after his falling out with her. That makes this investigation a personal one on different fronts. The mystery is good enough to make this an okay read but what makes this one really worth your time is the great narrative voice of Jake Diamond. Wry and very funny he is the ideal companion to walk the San Francisco and LA streets with. I'm sure as hell going to read the second one in this series. Check out my guest post at Pulp Pusher where I offer some background to my writing over here http://pulppusher.blogspot.nl/2013/03/guest-blog-jochem-vandersteen.html. If you can't get enough of Lee Child and Jack Reacher you might like this baby. Former Marine James Bishop is locked up for a crime he didn't commit. He manages to escape and goes after the people that framed him, encountering some people with the close protection crew he used to work with. The action is fast and furious and is situated in New York, always a good locale. There's an awesome connection to a famous serial killer that blew me away. Bishop might not be the most original of heroes but has the goods needed to guide you through the chases, fights and break-ins a good thriller needs. 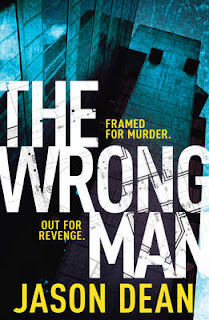 A bit more of a thriller than a crime novel for me, I did enjoy it and think fans of Matt Hilton, Zoe Sharp and Lee Child will find this a must-read.